Waterfront Drive on Sunday, when most stores and shops are closed. Traffic was very light. 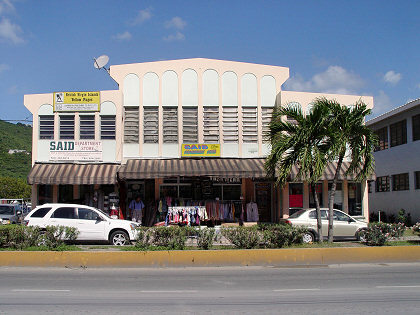 SAID Department Store, on Waterfront Drive. 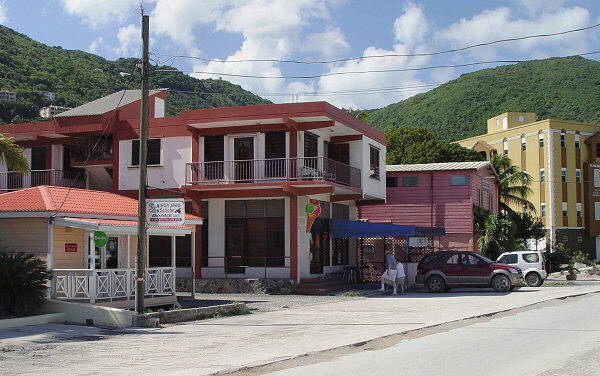 In the middle of the picture is the Italian ice cream store (on Waterfront Drive), which is open on Sunday. They had lots of yummy flavors. 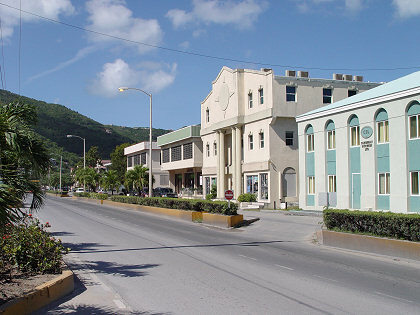 Looking across Waterfront Drive from a small collection of shops. 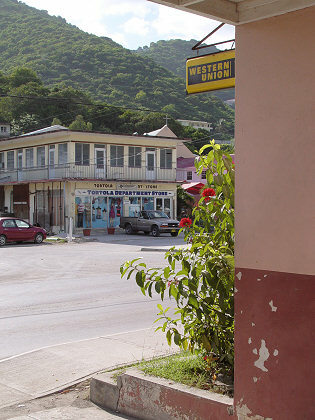 One of the shops has a Western Union sign out front, which is rather quaint. 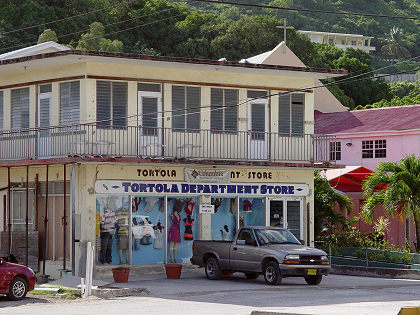 The Tortola Department Store, which is also visible in the previous picture. Looking through the front window of a wig shop on Main Street.